Lately, it has been hell with Airtel; I believe most users can testify? I’ve actually been a fan of Airtel Unlimited, but when I started facing serious limitations and challenges with it, and then I had to make a way for other network. 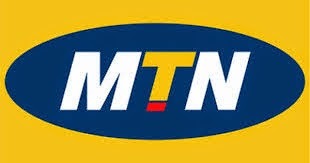 So I decided to go for MTN. Like seriously I dislike MTN as a network for browsing, but when I test the 3GBNight (9PM-6AM), then I fell in love with it again. It cost N2, 500. One thing I noticed about this plan is that I was given 4.5G, whao!, but wait… 1.5G is for day time, while the remaining 3gb only works at night (9pm-6am) after exhausting the 1.5gb. In short, you get 4.5gb at the rate of N2,500, 1.5gb works at any time of the day and the remaining 3gb works only at night. I believe we all wants alternative for this Airtel network that’s messing around with their subscribers and move for better network. I’m also working on how you can use the 4.5G MTN plan anytime of the day, so subscribe to our mailing list to get it anytime we update our blog. Thanks for staying tune, endeavor to share this post with your friends on social media, and also like our page.